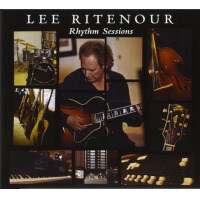 Lee Ritenour: Alive in L.A. 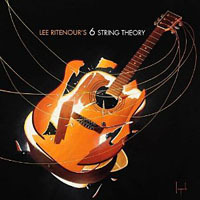 This is the last album Lee Ritenour had left on his contract with GRP. He's already founded a new label, i.e. 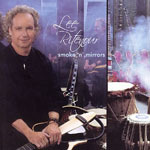 Music, on which has already appeared the all-star recording A Twist of Jobim, which was really a Lee Ritenour album except in name. What easier way to fulfill the rest of your contract than to submit a live album? Have a tape recorder running during a gig, turn it in, be done with it. I must admit that these circumstances, coupled with the fact that nine out of ten tunes have been previously recorded, didn't leave me very optimistic about this album. Fortunately, I was proven quite wrong! This was a great gig which resulted in an excellent recording. There's lots of empathetic group interplay and inspired, well-executed solos. 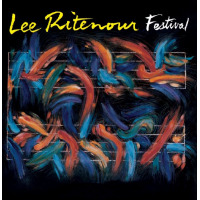 Many of the tunes are from the Wes Bound and Stolen Moments CDs, which tend more towards the straight-ahead jazz segment of Ritenour's repertoire. 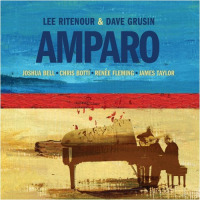 Ritenour also digs back to his first Brasilian album, Rio, for "San Juan Sunset" (by Deodato) and "Rio Funk." The latter cut represents the only throw-away on an otherwise thoroughly enjoyable program. Hasn't Lee recorded this tune enough? This version offers nothing new, except a canned drum loop (yes - on a live gig). The lone new piece on this date is "Pacific Nights," an acoustic guitar feature which serves not only as a technical exercise but as a beautiful piece of music. 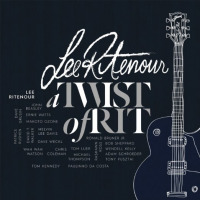 Lee Ritenour CD/LP/Track Review Dave Hughes GRP Records United States Alive in L.A.